Global event marketing program development for Indeed.com. 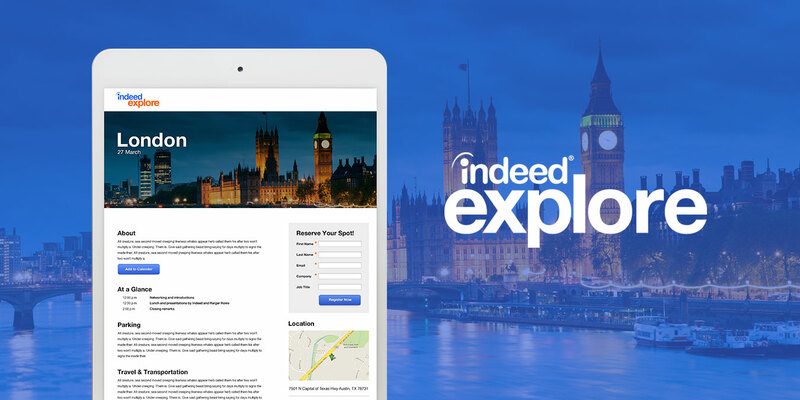 Indeedis the top job search website worldwide, with over 100 million unique visitors per month and is available in more than 50 countries and 26 languages. 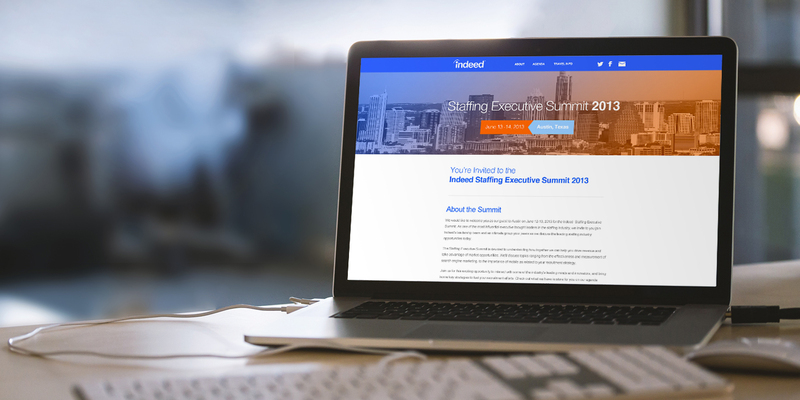 Their marketing and events team sought out MODintelechy’s expertise to create several microsite portals for several company outreach events, including the Staffing Executive Summit and interactive global roadshows, Indeed Explore. 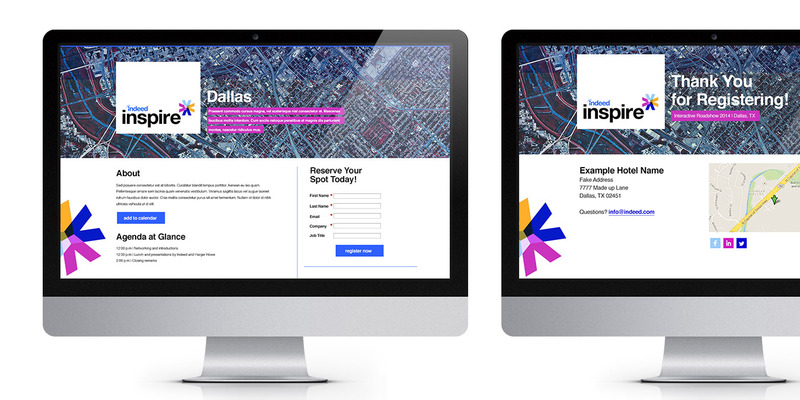 Since Indeed is a globally recognized brand, we developed a creative strategy that was not only in line with their established brand, but also mirrored the individuality of each of the host cities while incorporating a user-friendly layout that would maximize registrations with optimal readability and flow of content. To effectively execute this initiative, MODintelechy designed and developed each microsite in a way that allowed Indeed webmasters to continually manage the microsites as details for each event changed. Additionally, we strategically developed a fully-automated system that would facilitate processes from registration and all related email correspondence to further streamline the user-experience process via marketing automation platform, Marketo. "The strategically developed, fully-automated system facilitates registration and further streamline the user-experience process via marketing automation platform, Marketo." MODintelechy’s creative development strategy and execution of Indeed’s event microsites for more than 20 global cities effectively delivered an efficient and intuitive way for users to quickly and easily register for education events while still maintaining the familiar design aesthetic of the Indeed brand.